Most of the women’s today have been proving that they can also do what every man can do. This is to break the old saying that men are more powerful than women. Women of this age are fighting for equality over men because they don’t want them to take advantage of them thinking they were weak and helpless without men. A lot of women have proven this thought over years that they can also do things that a man can do like fishing. 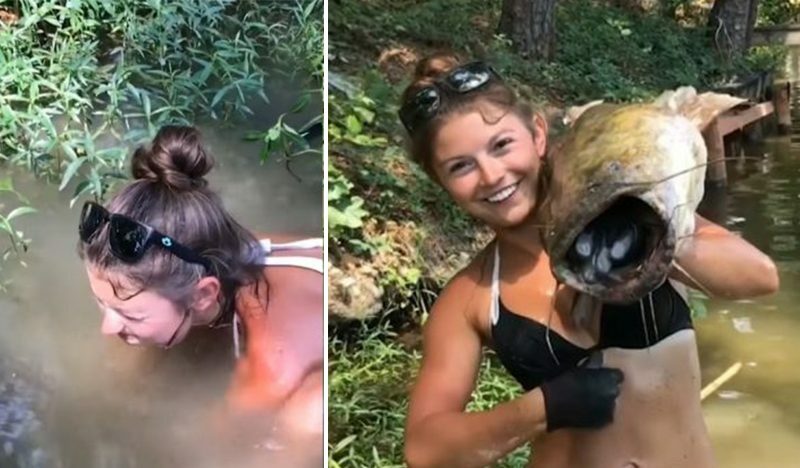 This woman has gone viral in the social media because of her video catching a catfish by herself. She is so eager to put her hand on the hole where the catfish is living in shallow muddy water. The cameraman doesn't even have an idea how big is the fish, but he can see in the woman's face that she is quiet struggling to get it. She is patiently waiting and tried her best to catch the fish. The cameraman was amazed to see when she lifted up the fish out of the water. It is a big catfish! She looks really happy in the pictures, and her patience really paid off! She probably has worked out on a regular basis because it is shown in her body. Her muscles are tight and strong enough that makes it easy for her to grab the catfish out of the hole. 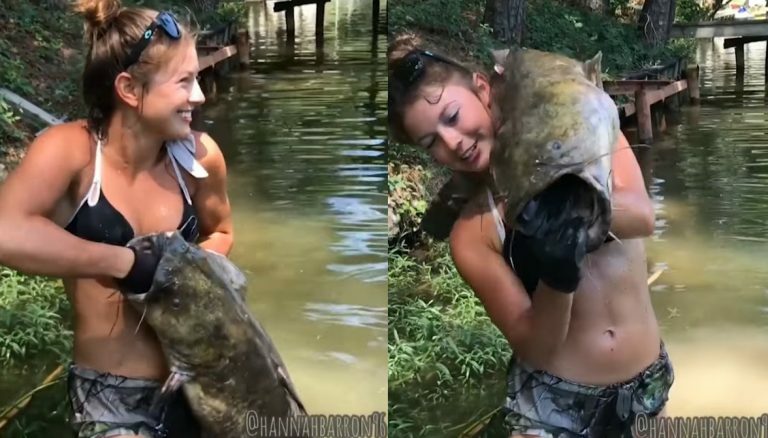 She can also carry the big catfish in one of her shoulder making a beautiful pose in front of the camera. Netizens who have seen her viral video have commended her for being a strong woman, but some were not happy with what she did saying that she should kill it right away or just let it go. Some say it is animal cruelty. 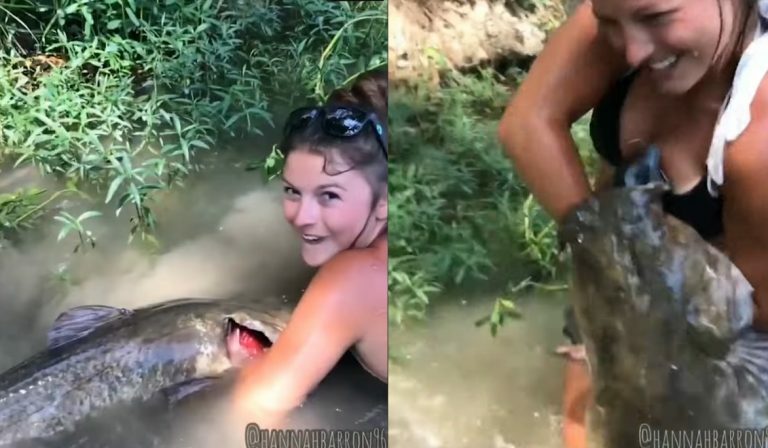 Catching a fish is quite hard even if you are using proper tools so for a woman to be able to catch big catfish with her bare hand that is amazing!